CrossFit for Kids… Where Fitness meets Fun! St. Michael’s is pleased to announce that not only have we become a CrossFit Kids Affiliate, but we are the first and only school affiliate in the State of Rhode Island! What is CrossFit? 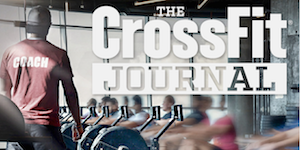 CrossFit is a fitness program that fosters a community focused on supporting your peers. Through CrossFit Kids, children will focus on foundational movements that we as humans are meant to practice. In addition to learning basic exercise skills, children will be better equipped to make healthier food choices, gain confidence that translates to all areas of life, and learn to become better leaders–both in school, on a team, and later in life. The program will be run by Phil Tutino. As many of you may know, Phil is an avid CrossFit athlete and trainer. He has been doing CrossFit for 6 years and has been Rhode Island’s Fittest Teacher 2 years in a row! The goal of this program is to get kids up and moving properly, and having FUN while doing it! Each hour long class will focus on a particular movement/skill, a warm up, a “workout”, and a game. After the movement is over, it’s time to hit the books! Brain research shows that after exercising, our brains secrete a hormone that has been dubbed the “miracle grow” of the brain. To capitalize on this, students will spend the remaining 15 minutes of our time working on homework in an area that is typically challenging for them, with teacher support.